Paul Sabatier (chemist) – French chemist. A French organic chemist and corecipient, with Victor Grignard, of the 1912 Nobel Prize for Chemistry for researches in catalytic organic synthesis, in particular for discovering the use of nickel as a catalyst in hydrogenation (the addition of hydrogen to molecules of carbon compounds), Paul Sabatier was born on November 5, 1854, in Carcassonne, France. Sabatier was honored specifically for his work improving the hydrogenation of organic species in the presence of metals. 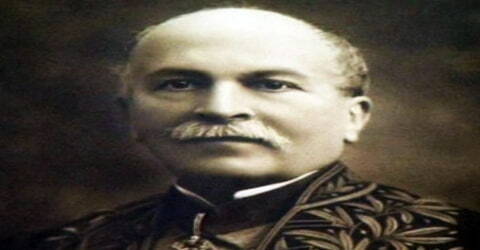 Sabatier known for his research works in catalytic organic synthesis, especially for inventing the role of nickel and other metals as a catalyst in hydrogenation. He played an instrumental role in enabling the use of hydrogenation in the industrial sector. He is also known for the Sabatier principle and for his book ‘La Catalyse en Chimie Organique’. He remained the Professor of Chemistry at the ‘University of Toulose’ for over four decades and later became the ‘Dean of the Faculty of Science’. He was an honorary member of the ‘American Chemical Society’, the ‘Royal Netherlands Academy of Sciences’, the ‘Royal Society of London’, and the ‘Academy of Madrid’ among several other foreign institutes. Sabatier was honored as ‘Commander of the Légion d’Honneur’ and inducted as a member of the ‘French Academy of Sciences’. 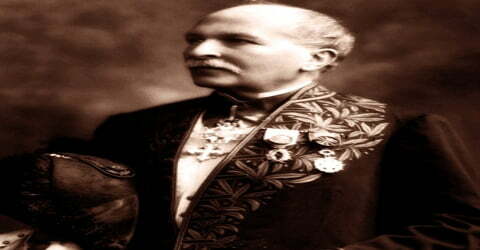 He received the ‘Prix Lacate’ award in 1897 and the ‘Prix Jecker’ award in 1905. The ‘Royal Society of London’ awarded him the ‘Davy Medal’ in 1915 and the ‘Royal Medal in 1918. A French chemist, Paul Sabatier (French: sabatje), was born on November 5, 1854, in Carcassonne in Southern France. After attending the local Lycée, he sat for the entrance exams of ‘École Normale Supérieure’ and ‘École Polytechnique’ and after being selected by both the institutes he opted to join the former. Sabatier studied at the École Normale supérieure, starting in 1874. Three years later, he graduated at the top of his class. In 1878 he joined ‘Collège de France’ as a laboratory assistant of Marcellin Berthelot, under whom he completed his ‘Doctor of Science’ in 1880. His thesis was based on the thermochemistry of sulfur and metallic sulfides. 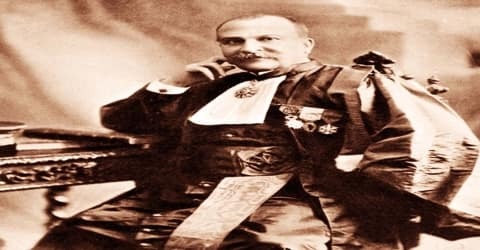 He taught science classes most of his life before he became Dean of the Faculty of Science at the University of Toulouse in 1905. Paul Sabatier was married to Mademoiselle Herail and the couple was blessed with four daughters. One of his daughters was married to renowned Italian chemist, Emilio Pomilio. Sabatier was a reserved person and was quite fond of gardening and art. After his doctorate, Paul Sabatier served as a maître de conference in physics in the faculty of sciences at the ‘University of Bordeaux’ for a year. In January 1882, he joined the ‘University of Toulouse’ and taught physics. In 1884 Sabatier became a professor of chemistry at the university, a position he held for decades till his retirement in 1930. Sabatier’s earliest research concerned the thermochemistry of sulfur and metallic sulfates, the subject for the thesis leading to his doctorate. In Toulouse, he continued his physical and chemical investigations to sulfides, chlorides, chromates, and copper compounds. He also studied the oxides of nitrogen and nitrosodisulfonic acid and its salts and carried out fundamental research on partition coefficients and absorption spectra. Sabatier greatly facilitated the industrial use of hydrogenation. In 1887 Sabatier founded a multidisciplinary journal, ‘Annales de la Faculté des Sciences de Toulouse’ along with Thomas Joannes Stieltjes, E. Cosserat, Benjamin Baillaud, C. Fabre, T. Chauvin, Marie Henri Andoyer, G. Berson, A. Destrem and A. Legoux. In 1905, the ‘University of Toulouse’ appointed him the Dean of its Faculty of Science. His early research work included chemical and physical analysis of chlorides, sulfides, chromates, and copper compounds. Sabatier also studied the oxides of nitrogen and nitrosodisulfonic acid and its salts and carried out fundamental research on partition coefficients and absorption spectra. Sabatier greatly facilitated the industrial use of hydrogenation. In 1897, building on the recent biochemical work of the American chemist, James Boyce, he discovered that the introduction of a trace amount of nickel (as a catalyst) facilitated the addition of hydrogen to molecules of most carbon compounds. Sabatier investigated the nitrosodisulfonic acid and its salts and examined the oxides of nitrogen. He made an intrinsic analysis of absorption spectra and partition coefficients. During his initial analysis of the phenomenon of catalysis, he figured out the inconsistencies in the physical theory of English scientist Michael Faraday. 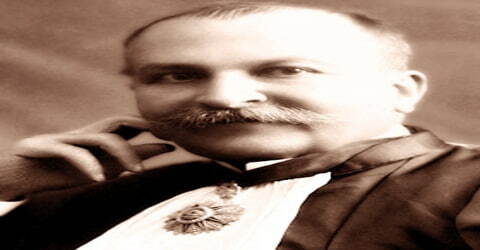 Sabatier developed his own chemical theory that postulated the creation of unstable mediums. The reduction of carbon dioxide using hydrogen at high temperature and pressure is another use of nickel catalyst to produce methane. This is called the Sabatier reaction and is used in the International Space Station to produce the necessary water without relying on the stock from the earth. Almost the entire area of catalytic syntheses in organic chemistry was analyzed by him, he examined hundreds of hydrogenation and dehydrogenation reactions. Sabatier found that nickel when used in small quantity as a catalyst-aided in the hydrogenation of most compounds of carbon. He also pointed out that apart from nickel there are many other metals like cobalt, platinum, copper, palladium, and iron that possess catalytic activity, albeit in lower intensity. Sabatier is best known for the Sabatier process and his works such as La Catalyse en Chimie Organique (Catalysis in organic chemistry) which was published in 1913. He won the Nobel Prize in Chemistry jointly with fellow Frenchman Victor Grignard in 1912. He is also known for the Sabatier principle of catalysis. Sabatier’s various discoveries formed the bases of the margarine, oil hydrogenation, and synthetic methanol industries, as well as of numerous laboratory syntheses. He explored nearly the whole field of catalytic syntheses in organic chemistry, personally investigating several hundred hydrogenation and dehydrogenation reactions, showing that several other metals besides nickel possess catalytic activity, though in a smaller degree. He also studied catalytic hydration and dehydration, examining both the feasibility of specific reactions and the general activity of the various catalysts. The Paul Sabatier University in Toulouse is named in honor of Paul Sabatier. Paul Sabatier was a co-founder of the Annales de la Faculté des Sciences de Toulouse, together with the mathematician Thomas Joannes Stieltjes. Paul Sabatier passed away on August 14, 1941. Sabatier’s most remarkable discovery, known as the ‘Sabatier reaction’ and also as the ‘Sabatier process’ that he brought out in the 1910s remains his primary invention. The process takes into account the reaction of hydrogen with carbon dioxide at a high level of temperature and pressure with nickel as a catalyst to form water and methane. Many of his inventions related to the application of metal hydrogenation catalysts, aided in forming the foundations of various industries such as that of oil hydrogenation, margarine oil, and synthetic menthol.